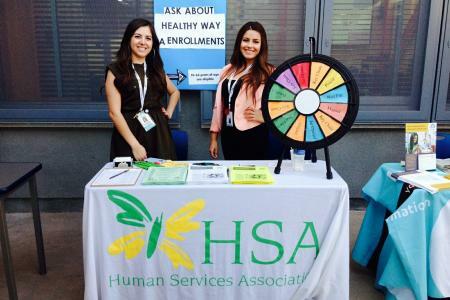 After Enrollment Specialists screen clients for eligibility, they guide clients through the Medi-Cal, Medi-Cal Access Program (MCAP), Covered California, or Kaiser Permanente Child Health Program application. After confirming their enrollment into a program, our specialists will follow-up with the clients to ensure they are able to utilize their benefits. If a utilization issue is identified, the specialist will assist the client with resolving it. Subsequently, we work with clients to ensure the retention of their coverage by offering them renewal assistance. For assistance, please contact us to schedule an appointment. The CHOEUR project conducts outreach throughout SPA7 in an effort to educate families and communities about healthcare coverage. Our outreach team conducts presentations, and workshops at community events, schools, and other nonprofit organizations. If you wish to collaborate with the CHOEUR project, or you would like our outreach team to conduct a presentation at your location, please contact the Project Coordinator. This program is funded by the Los Angeles County Department of Public Health (DPH).